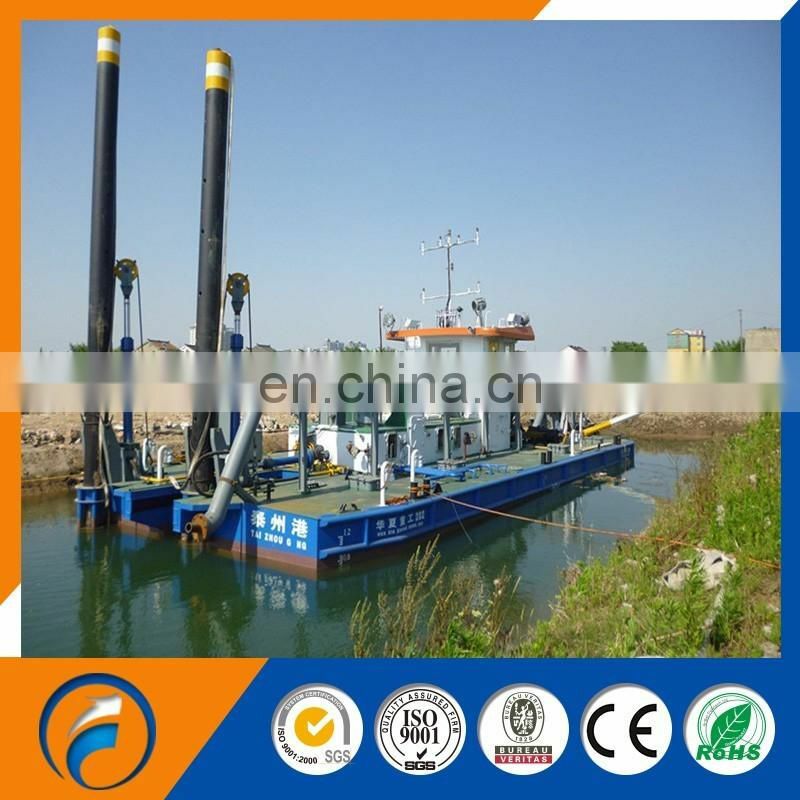 This hydraulic cutter suction dredger is a new and of the recent model, non-self-propelled Cutter Suction Dredger of the dismountable type. The hydraulic cutter suction dredger is of a very robust construction, suitable for heavy duty and durable operations. The sizes and weights of the various dismountable modules permit transportation by road,rail or by ship. The complete dredger consists of one main pontoon and two side pontoons.These side pontoons are mounted to the main pontoon using heavy steel claws and pins at hull bottom with bolt connection at deck level. The pontoons are of welded steel constructions, with heavy frames, beams and longitudinal girders. Extra reinforcements are placed where necessary to withstand all forces while dredging.